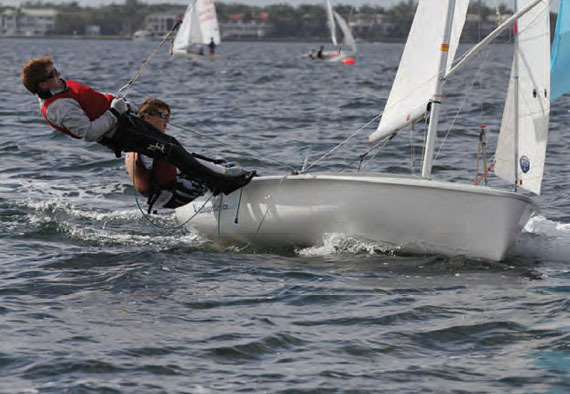 After winning their respective classes at US Sailing’s ISAF (International Sailing Federation) Youth World Qualifier, hosted by Alamitos Bay Yacht Club in Long Beach, CA in January, four Long Island Sound sailors have been selected to represent the USA in the International 420 class at the ISAF Youth World Championship, which will be held July 12-21 in Dublin Bay, Ireland. Megan Grapengeter-Rudnick and Abigail Rohman of Darien, CT are the Girls I-420 team, and Harry Koeppel and Charles Bocklet (Mamaroneck, NY) are the Boys team. All four of these sailors are long-time members of LISOT (Long Island Sound Optimist Team), and were very accomplished Opti racers before switching to the 420. Grapengeter-Rudnick competed in the Nivea IODA (International Optimist Dinghy Association) European Championship 2010, which was held in Poland, while Koeppel sailed in the 2010 IODA World Sailing Championship in Malaysia. 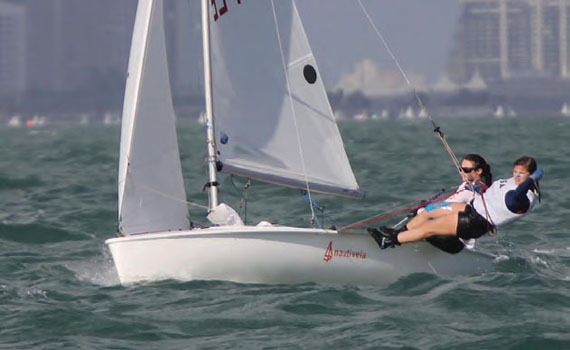 In addition to the I-420 (Two Person Dinghy; Boys’ and Girls’ divisions), the Youth Worlds will be sailed in Laser Radials (One Person Dinghy; Boys and Girls), Techno 293 Sailboard (Windsurfer; Boys and Girls), 29er (Open High Performance Dinghy), and the Sirena SL 16 catamaran (Open Multihull). For more information, visit isafyouthworlds.com. 2012 December – What Would Shackleton Do?